The quality looked fine even on full screen. I must say I enjoyed watching your part of the battle. The struggle of your division against that French battalion in square is the stuff of sagas. I was impressed by your cat-herding skills in the first 45 minutes. 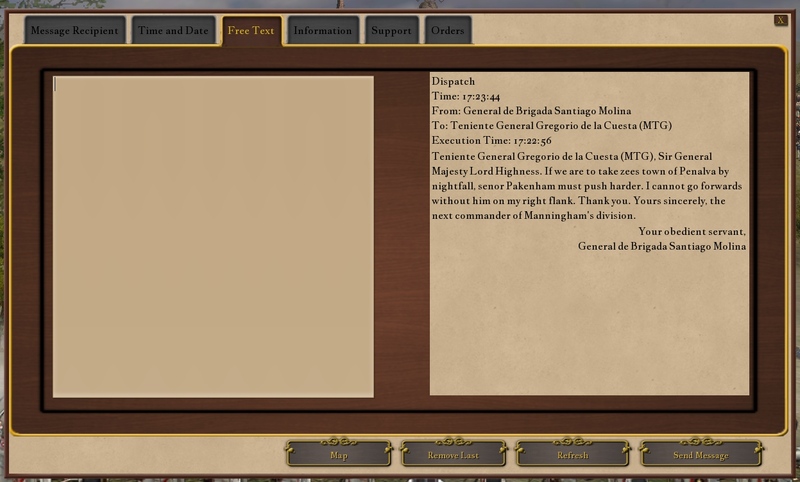 Getting a Spanish division to walk up a road is what great generals are made of! I have no idea what I did to either the map or the OOBs to make infantry columns get straggled out like that but I really like it. It looks very Spanish. I'll have to check to see if it works on other maps. The messages were clear enough to read though I saw Kevin pulled the old excuse of Phil's general having insulted his sister in the past giving him a reason not leave his campaign tent to help him. A lot of generals seem to have insulted Kevin's sister. I am wondering if the problem lies with the fair lady herself and not with every military commander in Europe? A vile slur, sir. Most vile. When your courier next comes calling, asking for assistance, I will likely not be available. I must try to get into OBS player but I find the interface a bit unfriendly. Would you okay with have a tuition session in TS some time soon? No problem, I'll guide you how to simply record the gameplay - that's what I know. I do post editing in Avidemux - with this, for now, I crop the video to the actual battle and convert it to the format/codecs/size ready for upload. But obviously this program can do more. in OBS it's possible to choose to have mouse pointer recorded or not - I chose not to, as for similar reasons Kevin advised to remove flag/path markers. Whole video or parts could be played again and recorded with whatever additional subtitles, labels, commentary, music, etc... I'd rather learn to do that in post processing than try to catch everything while recording the game. Maybe I should add Herr Beethoven to the replay viewer? 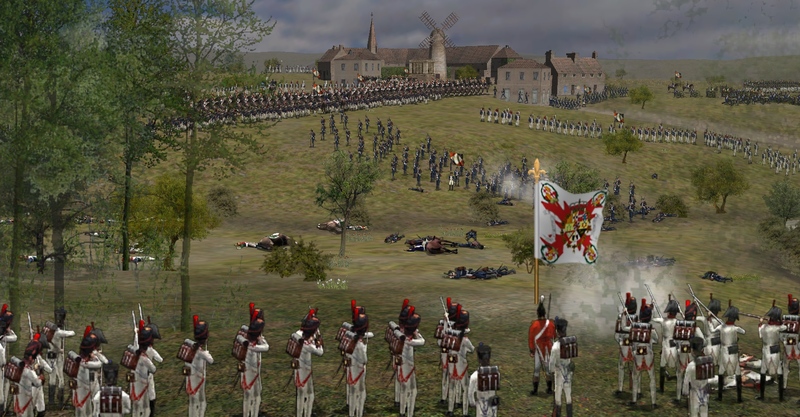 Phil/Cordoba - to Trieno: French attacking me! They've got cuirassiers! And sharp pointy sticks! Help! 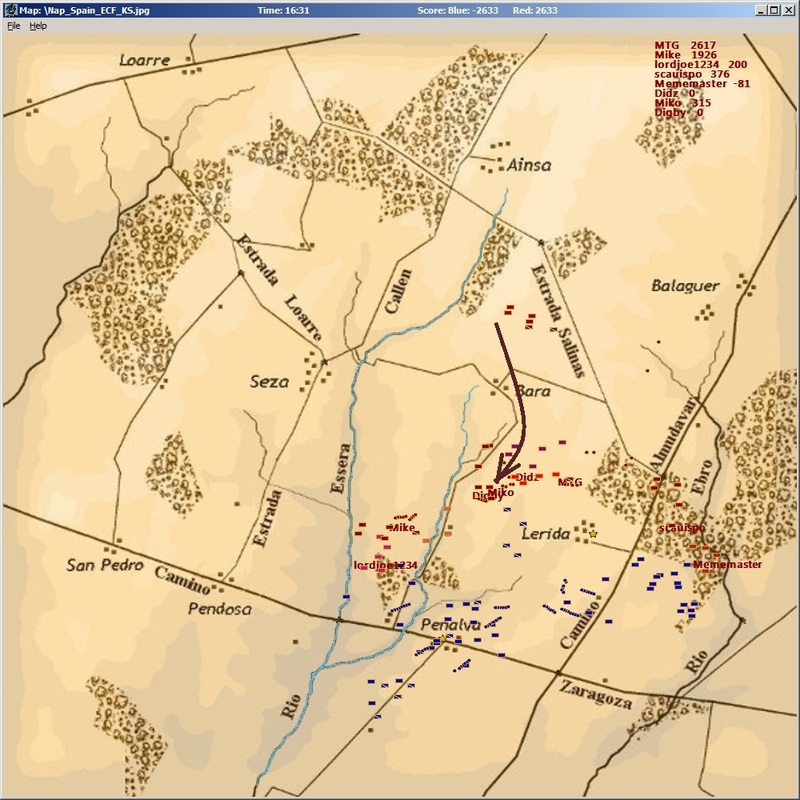 Miko/Trieno - to Medina: Cordoba is under attack. Can you assist him? Kevin/Medina - to Trieno: He was rude about my sister once. Let him face the French alone, perhaps he will be rude about their sisters? Phil/Cordoba - to Trieno: The French have 3 batteries, one here, one there, one over that way (long geographic descriptions of locations and species of trees they are hiding behind edited out). Help, etc. Miko/Trieno - to Medina: Can you support Cordoba. He is being assaulted by a French division. 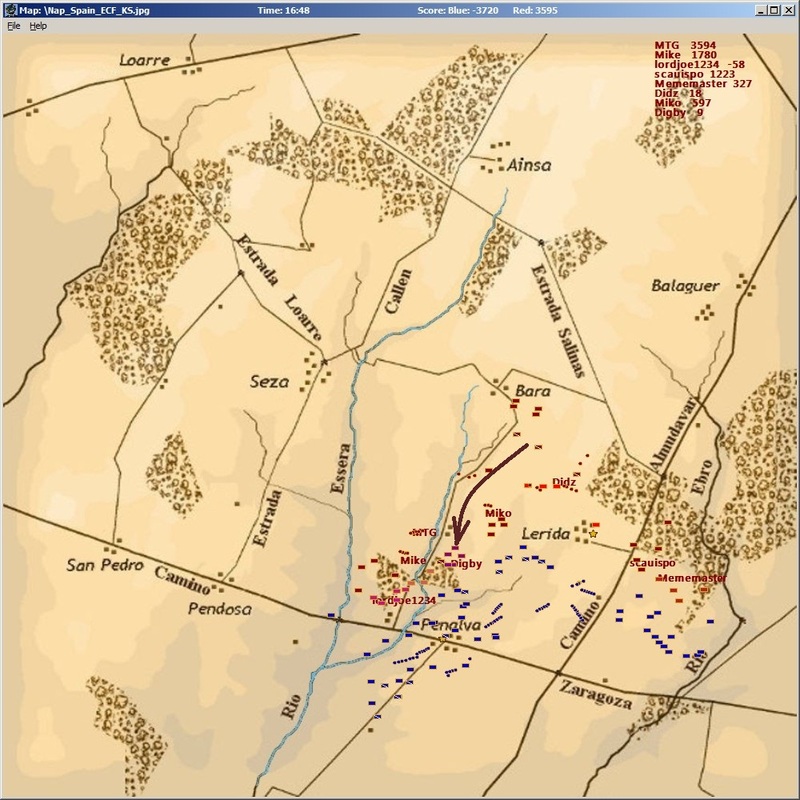 Kevin/Medina - to Trieno: I have a line of French infantry to my front supported by guns. 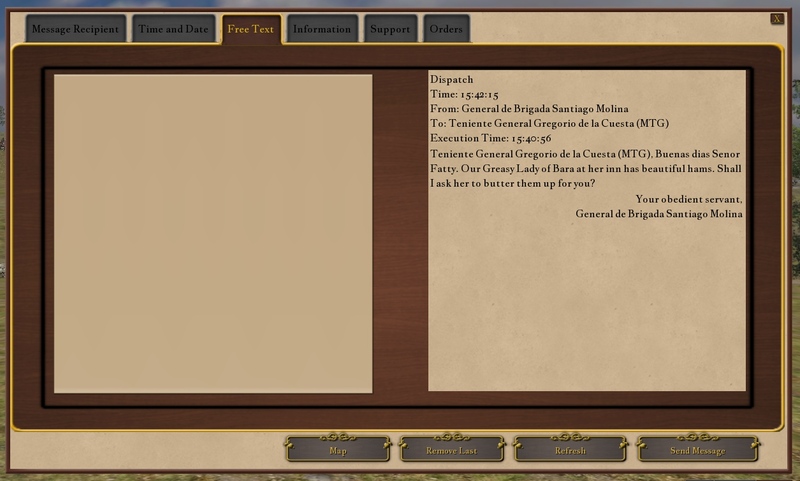 I cannot spare a single man to help that son of a whore Cordoba. Miko/Trieno - to Medina: Can you move up some infantry between our batteries? Kevin/Medina - to Trieno: Only if you let me preside over Cordoba's court martial. There's a really fun pattern here. What's funniest of all is Miko never replies to Phil at all, just leaves him in the dark. When Kevin tells him to sod off that's the end of the discussion. I considered asking him to move to the centre - but I couldn't make up my mind. AAR posted on the Steam Community of my recent HITS battle. Some sketches made by my staff artist at the battle of Lerida-Penalva. A pleasant afternoon's ride in the country. Passing a peasant farm. Something bad smells from over that wall. The town of Seza swelters in the midday heat. Only a few mad dogs and English officers are about. The isolated church of West Seza seen through the vineyards. Gen. Pakenham's division halts near Seza while the general and his staff enjoy their afternoon break of tea and cucumber sandwiches. The hamlet of Bara in the right foreground and Lerida in the distance with Manningham's division deploying. A message to Gen. Cuesta in reply to his enquiry about what vittals were available at the Bara Pie Shoppe. This is the first game of SoW I played in where I was allowed to refer to my C-in-C as "fatty". Another box on the bucket list ticked. The left wing Spanish brigade of Pakenham's division crosses a dry gully to engage some French. After several withering but wildly high volleys over their heads the French wisely fall back. 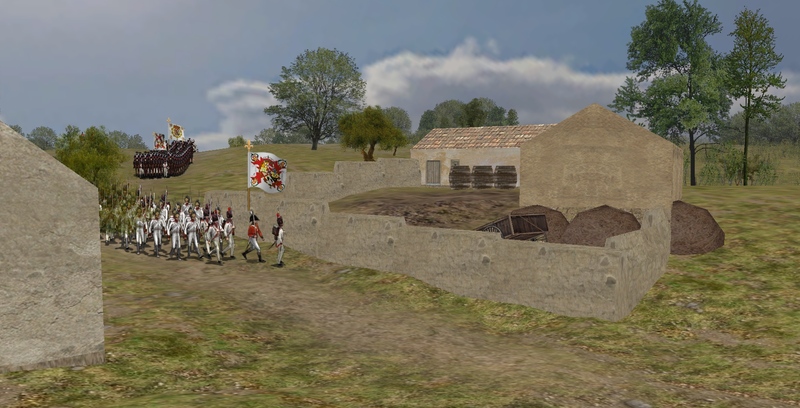 Gen. Molina's proud Spanish guards brigade waiting in reserve near Bara. A Spanish battery arrives SE of Bara. Lerida with its famous convent of Our Lady of the Spectacular Jambons. The Spanish battery goes into ation. In the background Pakenham's artillery pounds a wood full of French. Genl. 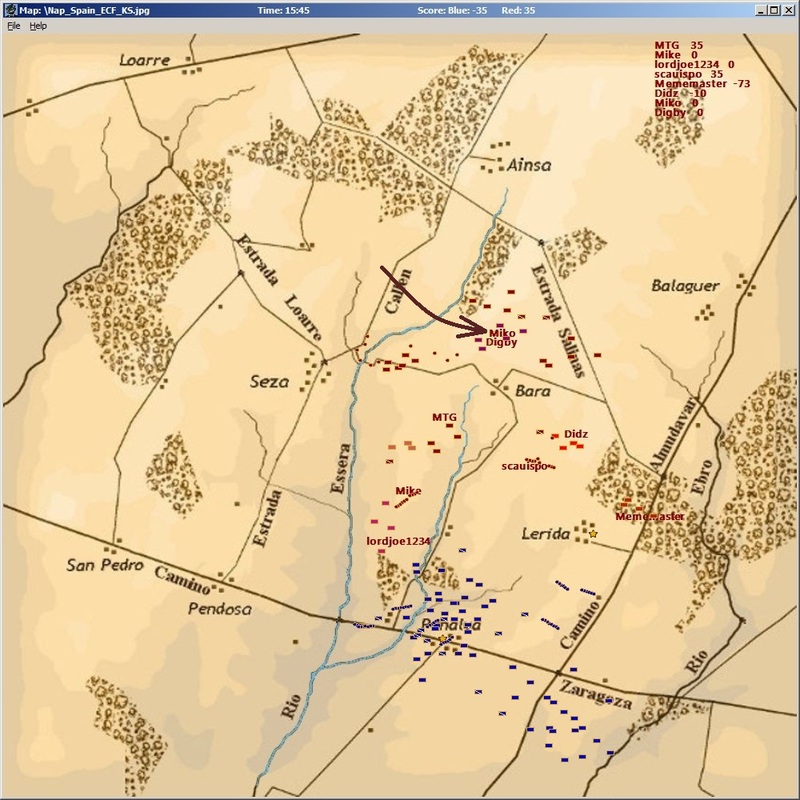 Clinton pushes forward a brigade of Spanish in squares to protect his battery's flank from the couple of thousand French dragoons who were holding up the advance on Lerida. Almost at once French guns target the squares. In the foreground the first Spanish square breaks and runs while the second bravely fires at dragoons passing in full cry for the guns. 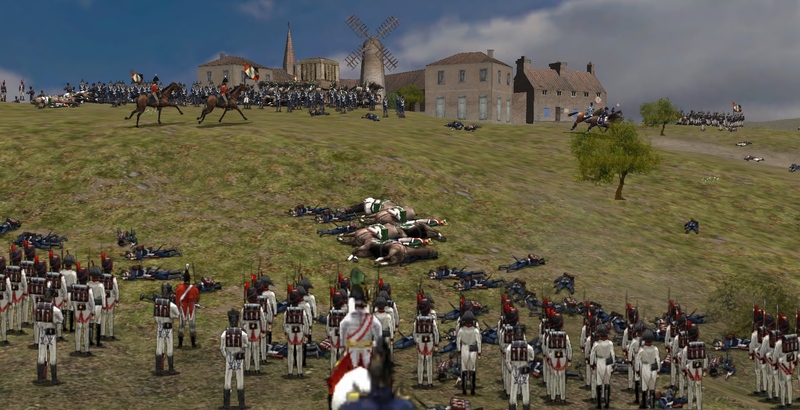 More French dragoons challenge Manningham's guns just outside Lerida. 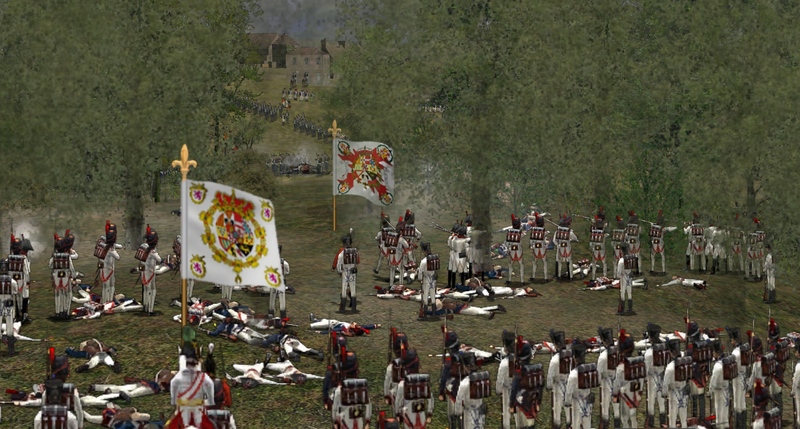 Despite losses the dragoons just will not give ground. 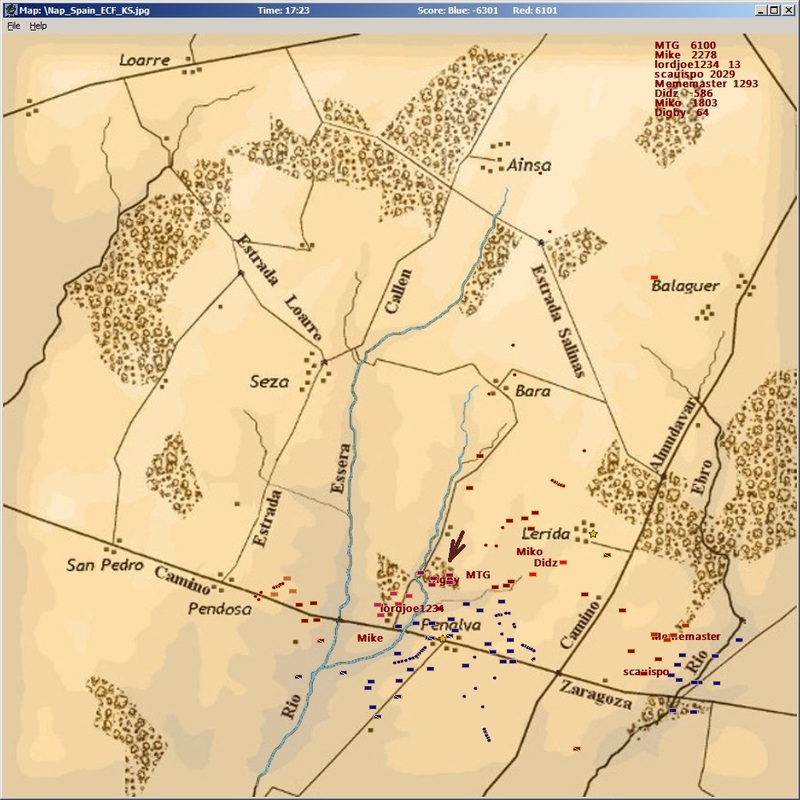 Gen. Molina's Spanish guards are ordered to clear out a wood that covers the approach to the north side of Penalva. Working slowly through the wood. Our objective beckons on the far ridge. All that church plate... all those piglets and chickens... these thoughts drive the brave guards onwards to ever greater feats of culinary planning. We break out into the open only to see masses of the enemy secure at the objective. How shall we get up that hill against that lot? Looking to the right yet more masses of our foes. Where is Pakenham who should be attacking the enemy left? Molina voices his concerns about the slow advance of Pakenham to Fatty Cuesta. 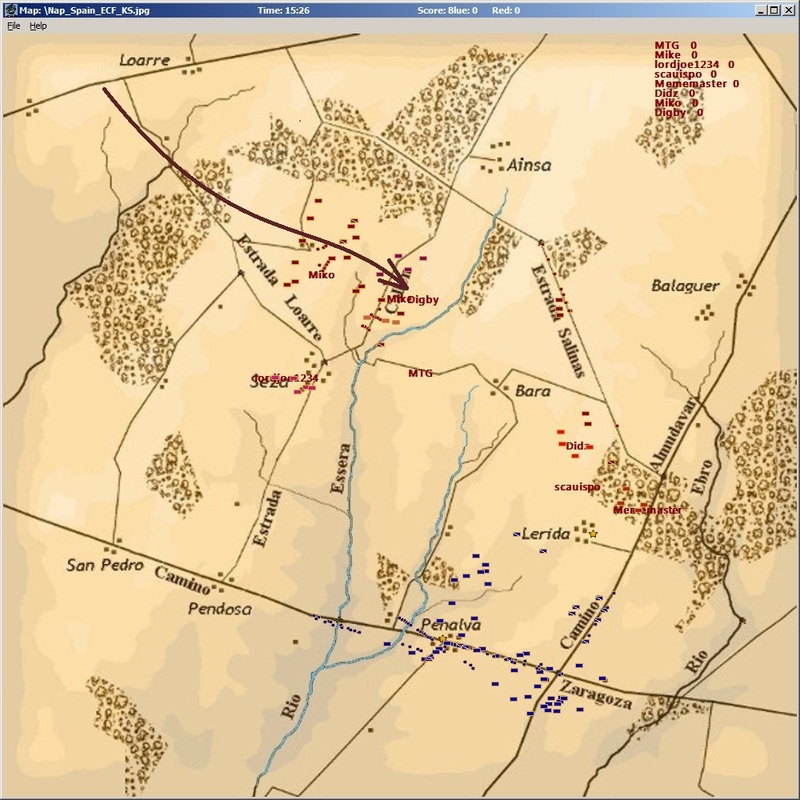 Pakenham's troops burst like a whirlwind upon the French. Below the mill two battalions of Englishmen charge an enemy dragoon regiment. Are they mad? Pressing up the steep hill towards Penalva. Two English officers gallop past as this were nothing more than a splendid hunt. On Molina's left the rest of Clinton's division and part of Manningham's rush forwards, now the advance is inexorable. The ground is littered with fallen enemy dragoons. 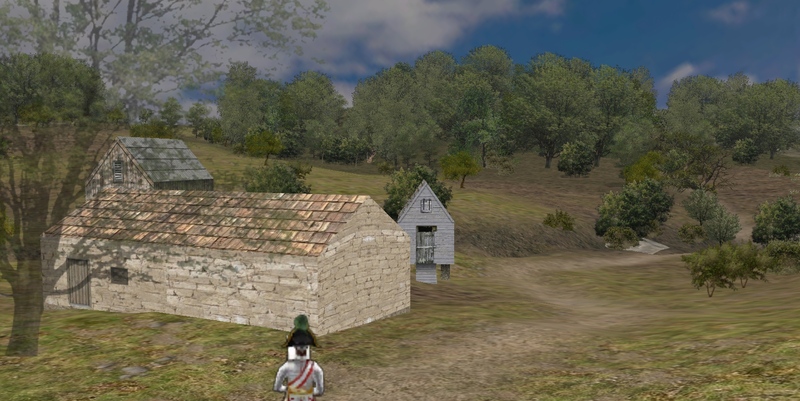 On Molina's right Pakenham is advancing too. Everywhere the French are crumbling. Entering Penalva! The hungry guardsmen drool and several leave the ranks and drop away into gardens and farmyards in search of dinner. Victory and lamb chops are ours! 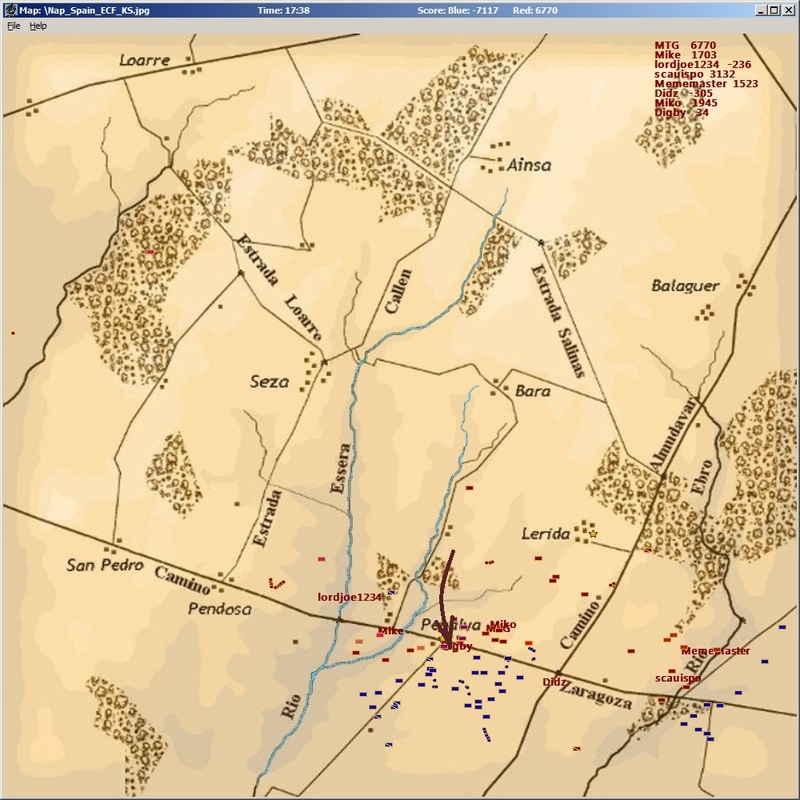 Maps of the battle. Molina's brigade route is marked by a trail of empty champagne bottles. Are you planning to upload this to Steam? If not can I reference it as an example of the Kriegspiel gameplay experience for readers of my guide? They are quite big files, so no.. I won't upload these on Steam, unless you suggest that having them directly on Steam would make big difference. That was the sole reason you did not join your former commander, Manningham, and stand against the wall. Bowing and scraping does have its rewards. I thought that Manningham owed you some money... if he was to face a fire squad then how would you get your money back? In the traditional way, of course. I take his possessions and auction them off. Err, do you have need of a fine Engleesh horse? Ok! done that...its there a fourth video, or was there only three? BTW: I noticed that I was not the only one who was not happy with his orders, a certain brigade commander in Clinton's Division was suggesting that his orders were also suicidal I notice. The difference being that he wasn't stupid enough to try and carry them out. If you look on "Mikos Strategy" channel on YT, he has other KS Mod videos uploaded as well. I have a few old videos on my channel too, taken when the KS Mod was using the Gettysburg game. I noticed that I was not the only one who was not happy with his orders, a certain brigade commander in Clinton's Division was suggesting that his orders were also suicidal I notice. The difference being that he wasn't stupid enough to try and carry them out. Welcome to the fun world of MP SoW! For me a big part of doing this whole hobby is so I can roleplay in-game. I am becoming convinced that Kevin has worked so hard on this mod purely to exercise his love of being rude to people via the courier system! I'm uploading the 4th part just now. It was me (Clinton) responding to Kevin (CinC) after he suggested that I'm hiding behind guns and that glory awaits in the south. Then you can see how I look south and see 3 French batteries lined up one behind another on my right... and masses of cavalry still blocking me on the left. Cuesta was probably in a cantina in Bara and just asked a waiter to look out the window and tell him what was going on. He personally probably never went within 1000 yards of the French guns. Its how he drafts most of his battlefield instructions. If you look carefully at his letters you get smears of different food on them and you can tell which course he's on. Cuesta was probably in a cantina in Bara and just asked a waiter to look out the window and tell him what was going on. Indeed I was and he did. That waiter has excellent eyesight by the way. The burdens of CinCship are many and heavy. I must stay in top form to meet them.